I'll be the first to admit I am rubbish at making pancakes. Yes, I am the mum that resorts to a packet mix...for pancakes! 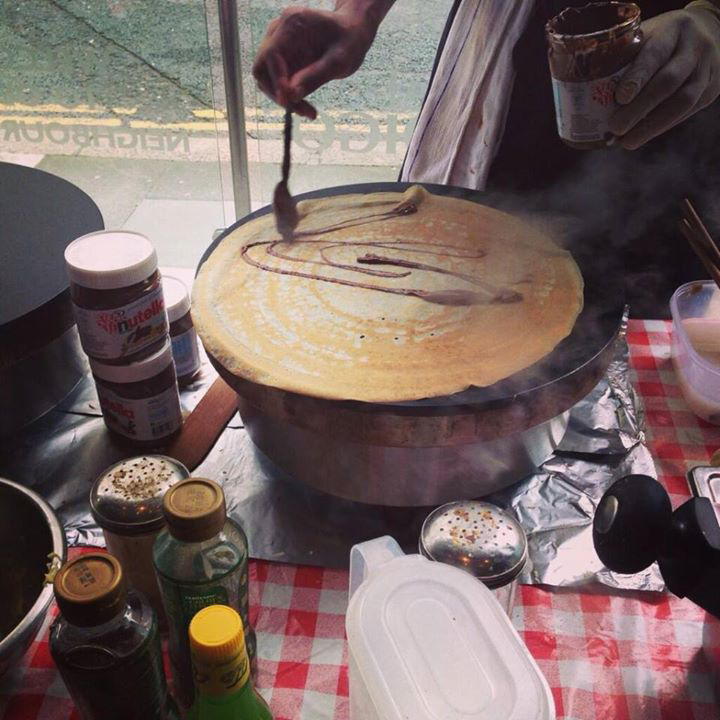 This year however, I have been provided with some traditional crepe recipes from the lovely people at La Petite Creperie who can be found serving up authentic pancakes every day at their stall in the Grainger market. They have also kindly shared some top tips to make sure your pancakes at home taste delicious too. 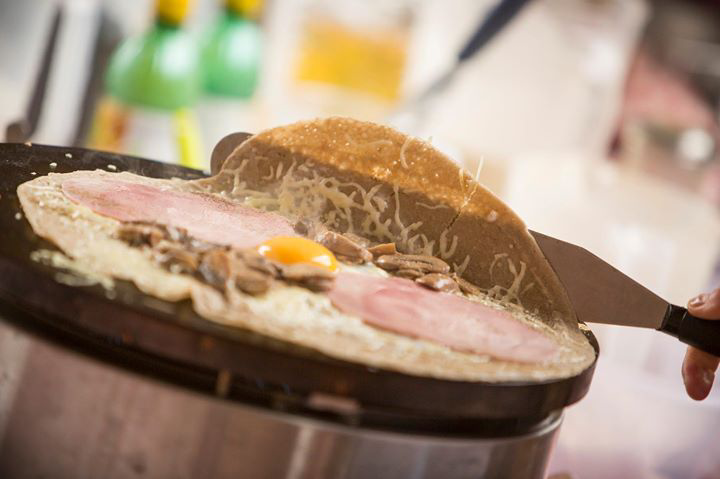 If making your own is too much hassle, make sure you pop into The Grainger Market in Newcastle and visit La Petite Creperie for an authentic taste of France. Crepes and Galettes can be made to order or pre-ordered via lpcreperie@outlook.com (12 crepes for £10 is a fantastic deal and perfect for an office lunch). In a large mixing bowl, put the flour and make a well in the centre. Crack the eggs into the middle and start whisking from the centre, slowly drawing the flour into the eggs. Pour in the cider and beat until you get a thick paste. In the meantime, in a separate pan, boil the milk with the butter. Add it to the other mix and leave it to rest for 30mn before using it to make crepes in a hot pan. Mix the flour with the salt. Make a well and add the egg. Pour gradually the water while whisking vigorously. Leave the mix to rest for 2 hours before using to make galettes in a hot pan. Tip: it is even better when made the day before! Depending on the region you live in France, people will finalise the batter with a personal touch, to make it tastier. In the North east and Alsace, people will add beer! While in the south, we will put rum or pastis (anise spirit)! I would love to hear your top tips and see your photographs of your finished pancakes. You can tweet me your photos at @nefamilyfun and make sure you share them with @LPCreperie too. Thank you to La Petite Creperie for sharing these recipes, tips and photographs. I doubt very much I'll be sharing our attempts at pancakes - last year they were shockingly awful! We use mix too (so I'm not sure how we still get it so wrong!) My Mum always made hers from scratch and would stand at the hob all night cooking 5 pancakes each (greedy eh?!) for herself, Dad and the 3 of us! No wonder she used to get so stressed about it. I think one year I definitely need to head back home to Norfolk to have some of Mums again, cos nothing beats them! We'll be having ours this year with melted Cadburys chocolate and Fluff .. cos we're big kids! Wow I don't think I could squeeze in 5 pancakes without being sick! Our 3 have chosen lemon and sugar or honey as toppings. A bit boring I think! Jam and Ice cream sounds fantastic! I need to find a signature topping! I've seen 2 people use buckwheat today (it's not even 9am) for someone who usually uses pack mix, your crepes look amazing. I have never used cider or beer. My boyfriend could eat these every weekend for sure. Buckwheat certainly seems to be the trend - I've seen lots of recipes using it this year. Absolutely loving the idea of Cider in Pancakes and I'm pretty sure I have some Calvados languishing at the back of the drinks cabinet. It would be rude not to give it a try! It most certainly would be rude not to try :-) Happy pancake day! I like the idea of cider in pancakes. Yum. I'm not usually a fan of cider but will give it a go if it's what the pro's recommend! I love the idea of adding beer into pancakes! Great shout.